Many of our families call us “la manzanita” – the little apple. In honor of our families' perseverance in seeking out the best possible education for their children, we present "The Manzanita Fund". It's a way for every gift, no matter its size, to have an impact. Each time we raise $6,000 through this fund, we accept another student into The BASIC Fund. Join us. Make a gift of any size today. We often receive gifts of $25, $50 or $100 from BASIC Fund Alumni and parents, with a note attached saying that they want to help others because someone helped them. Their gratitude and generosity has overwhelmed us through the years. We started "The Manzanita Fund" as a way to pool these many gifts into one scholarship fund. 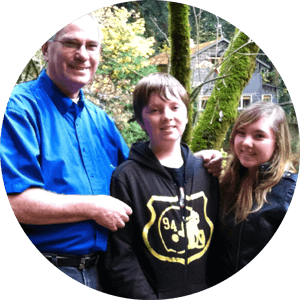 By making a gift of any size you join the Manzanita Fund family, and see how every dollar counts. 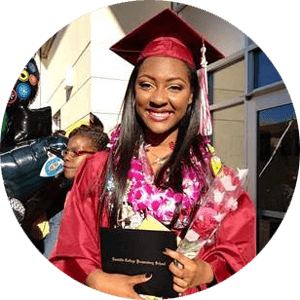 The BASIC Fund is a privately funded organization providing partial-tuition scholarships to low-income families across the Bay Area, helping them afford the cost of tuition at the private school of their choice. 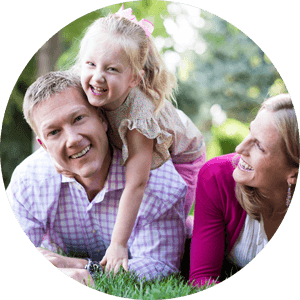 This program is intended as a helping hand for families enrolling their children at a private school for the first time. Our model of providing partial tuition scholarships to low-income families is one of the simplest, most immediate and effective ways to educate children and empower families to break the cycle of poverty. In the Bay Area, there are thousands of empty seats in private schools – schools which lead to graduation rates of more than 95%. We can fill those seats. "My name is Raven. Growing up, I always dreamt that I would go to college. Now, I am the first member of my family to attend college and have just successfully completed my first year at Occidental College in Los Angeles. I am forever grateful to The BASIC Fund for supporting the early years of my education. Every morning as I walk into the office, I see a sign that says “The American Dream Starts with a Quality Education.” So, I would personally like to say thank you BASIC Fund for giving me the opportunity to achieve my dreams and aspirations!" "Kelly and I feel fortunate to be in a position to help others -- students who may be in circumstances not so different than where I was a few decades ago. We firmly believe that a strong educational foundation is critical to expanding life’s opportunity set. It can serve as a great equalizer and lead to extraordinary social mobility outcomes. All of our family’s charitable efforts – both time and capital – are directed toward providing educational opportunities, particularly where there is the greatest need. We are so excited to partner with the BASIC Fund – the students, alumni, staff and donor community are all proof of what can be achieved!" - Best, Kelly and John Couch -- and Maddie (4), AJ and Jackson (4 mos) too! "A safe and caring school community that emphasized the teaching of service and the development of intellectual and spiritual growth was very important to us. I think both our children developed a deep sense of the importance of a good education and most importantly the need to be involved and give back to others."